A perfect wedding gift for a newly married couple as they embark on their lives and honeymoon together! A set of two beautiful Mr and Mrs drinks coasters engraved with the surname of the happy couple. 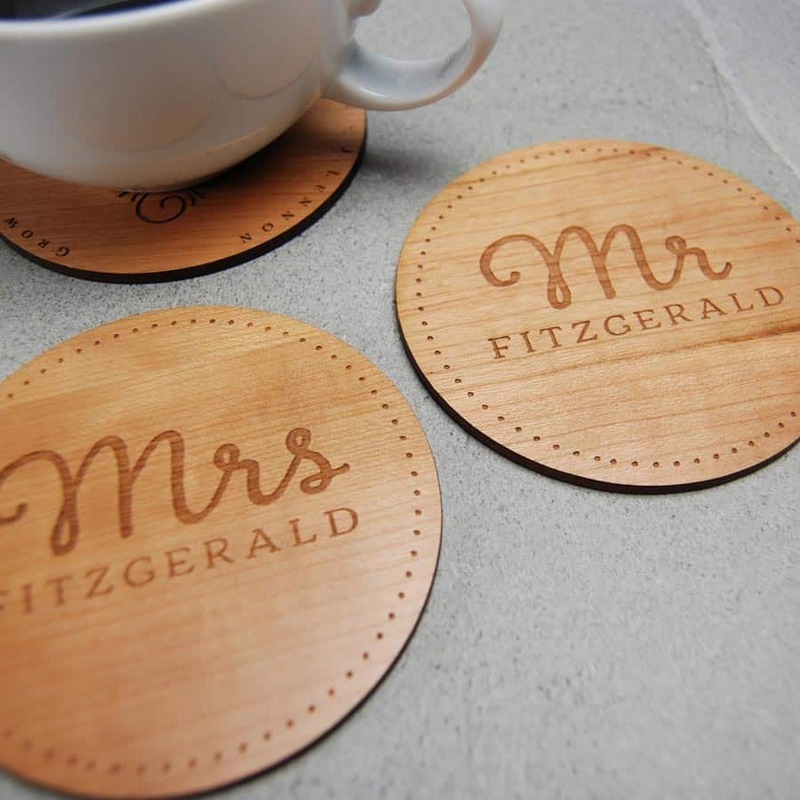 You can also further personalise the coasters with the wedding date. Also makes a great anniversary or engagement gift. Custom made in our Dublin workshop from sustainably sourced Cherry wood. The coasters measure 95mm x 95mm (3.75 inches x 3.75 inches) and this is a set of two. Additional coasters can be ordered to create a larger set and are €5 each when ordered at the same time. 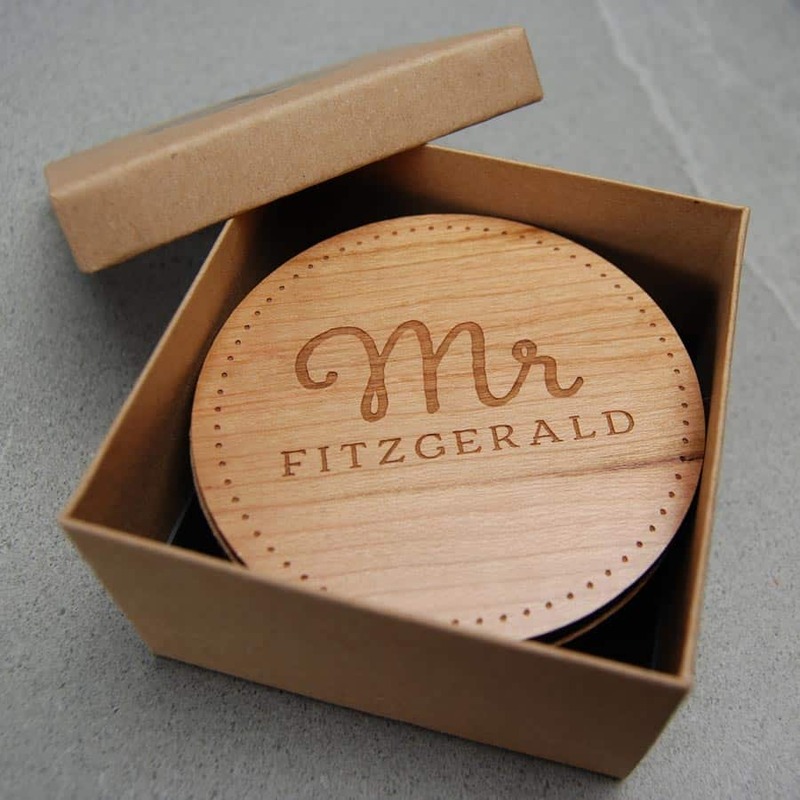 The coaster set comes packaged in a branded gift box.